act in the support of team building, performance management or talent identification. The suite of DiSC profiles are behavioural profiles that identify individuals’ key behavioural drivers and describe common behaviours that people adopt as a consequence. The suite offered by CPM covers DiSC Workplace, DiSC Management and DiSC Work of Leaders (WoL) and the new 2017-released DiSC Productive Conflict profiles. 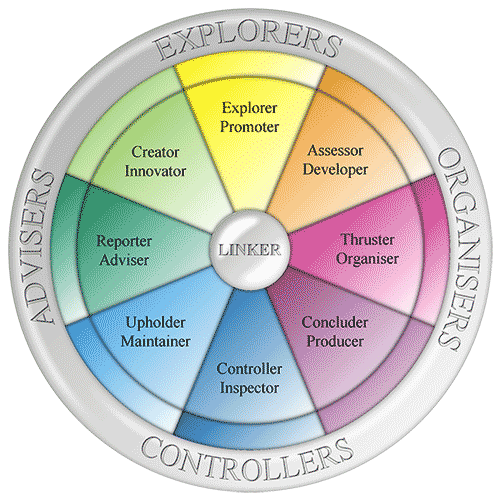 All develop greater self-awareness and greater skill in relation to communicating with others in the workplace, and involve completion of online questionnaire which takes 15 to 20 minutes. The HBDI profile is a self-assessment tool that provides the participant with insight into their thinking style or thinking profile. How people use their intellectual abilities influences the way they approach their work, solve problems, communicate with others and manage workloads, amongst other things. Participants receive a detailed profile report that includes their thinking profile results, information on all the different styles of thinking and guidance on developing different intellectual abilities at work. Understanding work preferences is a critical component in developing individual, team, and organizational performance. The Team Management Profile Questionnaire (TMPQ) is a 60-item assessment focused on enhancing understanding of an individual's approach to work, and provides constructive, work-based information outlining an individual's work preferences, and the strengths that an individual brings to a team. For more information, visit www.tms.co.nz. Genos was formed in August 2002 as the first Australian model and measure of emotional intelligence. The Genos Emotionally Intelligent Workplace Behaviour survey measures how well you demonstrate emotionally intelligent workplace behaviours in comparison to others across core skill areas of self-awareness, awareness of others, authenticity, emotional reasoning, self-management and positive influence. For more information, visit www.genosinternational.com.au. SHL have a range of diagnostic and assessment profiles designed to gain insight into strengths and opportunities for development; to assist with talent identification; and assist with understanding individual differences within a team to improve collaboration and engagement. 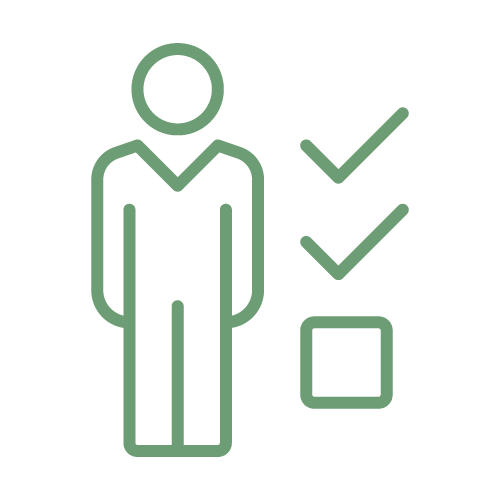 SHL’s Occupational Personality Questionnaire (OPQ) is one of the most widely used and respected measures of workplace behavioural styles in the world. For more information, visit www.shl.com. 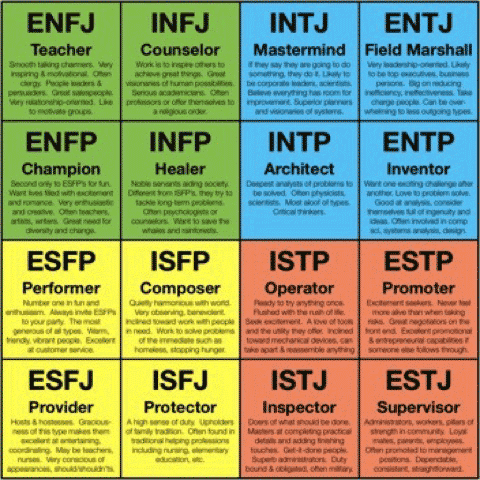 The Myers-Briggs Type Indicator (MBTI®) provides individuals with an understanding of their personality type. Based on the work of Carl Jung, it was constructed by Katharine Cook Briggs and her daughter Isabel Briggs Myers, as a personality inventory to make the theory of psychological types understandable and useful in people's lives. The MBTI® is a strong profiling tool for team building and developing an awareness of self and others. One of the more complex tools available, it is also very thorough and gives an excellent understand of basic individual personality types. These two Human Synergistics instruments are part of a three-tier suite of profiles generated online. LSI 1 aims to increase personal understanding of individual thinking and behaviour, measuring thoughts and attitudes which motivate behaviour, relating styles, problem-solving and decision-making. LSI 2 is the next level, which incorporates feedback from five other people. Individuals can also monitor their own change at intervals of 3,6 and/or 12 months after completion of their first LSI, which also assist their organisation measure the effectiveness of LSI development. This profile measures and records data across 29 dimensions of leadership (including relating, self-awareness, authenticity, systems awareness, achievement, compliance and control), and illustrates the inter-relationship between these dimensions. TLC online profiles come in both a Leader and a Manager edition, applicable to those whose competencies are less complex to those of more senior leaders. A Leadership Culture Survey is also available for use across entire organisations or leadership teams to compare reality to any desired ‘optimal culture’ and thus reveal a focus for leadership development opportunities.